In 1896 Émile Durkheim described “melancholy suicide” as being “connected with a general state of extreme depression and exaggerated sadness, causing the patient no longer to realize sanely the bonds which connect him with people and things about him. Pleasures no longer attract.” Williams’ face is weighted with melancholy. Not focus. Heightened perceptions of defeat and entrapment are known to be powerful predictors of suicide. According to the “Cry of Pain” model people are particularly prone to suicide when life experiences are interpreted as signaling defeat, defined as a sense of a “failed struggle.” Unable to find some sort of resolution to a defeating situation, a sense of entrapment proliferates and the perception of no way out provides the central impetus for ending one’s life. As in all suicidal tragedies, the role of addiction and mental illness has been posited as the cause. Although depression and substance abuse are the two biggest risk factors for suicide, neither explains completion of the act–the descent from ideation and planning to finality and oblivion. Saying suicide is caused by depression and drugs is like claiming marijuana is a “gateway drug” to heroin. It may be a a common related pre-conditional occurrence but it is not the cause. It is a non sequitur. And just as most marijuana users never develop an inclination to stick an opiate filled needle into their veins, the majority of depressed individuals and substance abusers do not kill themselves. One does not lead to the other. And as we have seen in the reports of bullied teenagers who have died by suicide, it is all too often the bullies themselves who are quickest to pronounce this conclusion. Attributing suicide to mental illness and substance abuse deflects culpability. It negates the need for further inquiry. It creates an absence of the need to change. The rationalization diffuses both individual and collective blame. It scatters responsibility and guilt. It is both an individual and community defense mechanism. Incessantly and chronically shaming, humiliating, and degrading another person because of race, body type, sexual preference or whatever perceived eccentricity or non-conformity threatened the community herd was irrelevant. It played no role. It was drink, drugs, or depression–the unspoken understanding is they would have done it anyway. And no one stops to ponder that said depression or desire to alter ones mental state just might in actual fact be a symptom of the humiliation and shame they themselves created. And it works. The bullies are never held accountable. But it is nevertheless they who figuratively loaded the gun, placed it in the victims mouth, and pulled the trigger. The link between bullying and suicide is well known, especially when combined with entrapment and the feeling there is no way out. “They would have done it anyway.” No, they would not have and a modicum of perceived support, concern, kindness and understanding from others may have prevented it. Dr. Drew Pinsky seemed omnipresent in discussing Williams suicide; delivering authoritative pronouncements with seeming omniscience and certainty. “The death of Robin Williams has led me to this plea — let’s loudly and seriously address something that’s still hidden, stigmatized and even ignored in this country: Mental illness,” Pinsky writes on his blog. I don’t see the logic here. How is exposing mental illness a product of Williams suicide. He was open, unashamed, and forthright about his prior addictions and depression. He was not hiding it. Neither is the 21st century for that matter. The more important issue that I see needs pleading, is that mental illness be properly, accurately, and thoughtfully diagnosed and treated. Depression, as with any mental illness, needs to be diagnosed, monitored, and treated by educated, trained, and experienced experts in depression. Not self-proclaimed experts. Pinsky’s specialty is “addiction medicine” and he is “board certified” by the American Board of Addiction Medicine (ABAM). The American Society of Addiction Medicine can trace its roots to the 1954 founding of the New York City Medical Society on Alcoholism (NYCMSA) by Ruth Fox, M.D., whose husband died from alcoholism. This group promoted the concept of alcoholism as a chronic relapsing brain disease requiring lifelong spiritual recovery through the 12-steps of AA. And the primary goal of the ASAM is and always has been the acceptance of 12-step doctrine, lifelong abstinence, and spiritual recovery as the one and only treatment for addiction. It always will be. This philosophy and guiding doctrine stems from the “impaired physician movement”, a group that, according to British sociologist G.V. Stimson: ” is characterized by a number of evangelical recovered alcoholic and addict physicians, whose recovery has been accompanied by an involvement in medical society and treatment programs. Their ability to make authoritative pronouncements on physician impairment is based on their own claim to insider’s knowledge.” This group grew in numbers, organized, and eventually became the ASAM. The American Board of Medical Specialties (ABMS) recognizes 24 medical specialties and subspecialties. Addiction Medicine is not one of them. The only ABMS recognized subspecialty is Addiction Psychiatry and it requires a four-year psychiatric-residency program followed by a 1-year Fellowship focusing on addiction in an accredited training program. In contrast, ABAM certification requires only a medical degree, a valid license to practice medicine, and completion of residency training in ANY specialty. Hazelden, the facility where Williams was admitted in July is an ASAM facility. And the Medical Director, Marvin Seppala is a Like-Minded Doc. Unlike most ASAM physicians, however, Seppala is a psychiatrist. But he is a psychiatrist brought up in the folds of ASAM ideology. He was, in fact, the first adolescent graduate of Hazelden in the 1970s when he completed the program at the age of 19. Pinsky, predictably goes on to state that “Williams had a brain disease, ” He posits it against demons or devils as if it is either/or. This concrete splitting of complex subjects into two separate entities to claim only one correct is just one of many simplistic and misleading “false dichotomies” used by the ASAM. Of course addiction is a brain disease. But in reality the definition is unhelpful unless we are living in the Victorian era. It’s like saying Gonorrhea is a genital disease not venereal (from Latin venereus “of sexual love”). In reality it involves a number of factors including both psychosocial and medical. Cornering a definition does nothing to advance knowledge and care. The ASAM emphasizes that addiction is a “brain disease” and not a “moral failing” in a mutually exclusive construct that allows either one or the other but not both. It is presented as a dichotomy in which the promotion of one both precludes and dismisses the other. It is either black or white. Period. But substance use, abuse, and addiction comes in every color, saturation, hue and shade. Psychosocial, behavioral, and social factors play a role in the actions and deeds of everyone including those addicted to alcohol and drugs. The disease concept neglects this multifactorial confluence of factors that ultimately produce a given behavior by viewing all behavior a product of the “disease.” Any and all behavior is simply a product of a “brain disease” in the addicted individual who cannot be trusted to make decisions on his own but has to be told what to do as part of the treatment. A danger to himself and others the addict cannot be trusted to make his own decisions, so we must make them for him. The chronic brain disease model is an oversimplification of the complex and a false dichotomy–so too is bifurcating “recovery” and “relapse,” treatment” and “discipline,” and “confession”and “denial.” Anything less than total abstinence constitutes an illness. Dr. Drew Pinsky notes “there were a number of factors” that contributed to William’s condition. He states “alcoholism is certainly one. He may have had a genetic potential for depression. Addiction and depression can be an easily fatal combination.” Non-sequitur. Depression needs to be treated by thoughtful, educated, competent and trained experts in depression not self-declared experts. ASAM doctors are not “real” experts. They are pretend experts trumpeting one frozen paradigm while dismissing or ignoring others. It is expert opinion where the goal is not new knowledge and and new discovery. The die is cast. And most of the “research” put out by this group consists of methodologically unsound studies published in their journals in which an attempt is made to make the data fit an already determined hypothesis. Point being that depression needs to be evaluated and treated by trained professionals who understand depression. Psychiatrists, psychopharmacologists, neuropsychologists, and psychologists schooled in a broad spectrum of treatment modalities. Numerous depression treatments are available. If one treatment fails or is ineffective then others must be tried. Most depression is treatable, especially subacute or acute depression. SSRIs, SNRIs SNDRIs, tricyclics, MAOs, and atypical antidepressants are available. Different types of psychotherapy are available–cognitive behavioral therapy, interpersonal therapy, dialectic behavioral therapy, mindfulness therapy, and Jungian psychoanalysis can be beneficial for people suffering from depression. And ECT and TMS can also play a role in depression refractory to medications and psychotherapy. Depression is extremely common in Parkinson’s disease but due to the dopamine loss it requires special consideration of what drugs to use and not use. SSRI’s can sometimes worsen the condition. Consultation with a knowledgable and experienced neurologist is critical. I do not know what assessments or treatments were being tried in Robin Williams. But the treatment modalities offered by ASAM physicians are usually few to one. The majority of “addiction medicine” specialists are not psychiatrists. For all you know you may find yourself being treated by an addiction “specialist” who was a practicing proctologist just a few years prior; and perhaps not even a good one at that. Moreover, many of the ASAM physicians are “anti-medication” and may take people off medications that have been helping them and that they need. And the devastating results are often seen after the patient has been discharged home. Taken off drugs while in rehab and sent home without them, the beneficial effects may wear off gradually. And as they do mental conditions may deteriorate. Manic episodes, paranoid psychoses, extreme anxiety, and profound depression can all occur well after someone has been discharged home. So can suicide. And when this happens the ASAM doctors blame it on their fatal “disease” when, just as is seen with the suicides of bullied teens, it was actually they who put the gun to their heads and pulled the trigger. Depression needs to be treated by experts in depression. Putting someone in a one-size fits all shackled and frozen mold can be fatal. And calling them helpless addicts with a chronic disease who have no control due to character defects adds kindling to the fire. Depressed people need empowerment not powerlessness; self-esteem not shame. Shame is devastating. It goes right to the core of the person’s identity making them feel exposed, inferior, and degraded. Dehumanized, delegitimized, and vulnerable. The link between bullying and suicide is clear. And this is especially true when combined with entrapment. The feeling there is no way out. When society gives power of diagnosis and treatment to individuals within a group schooled in just one uncompromising model of addiction with the majority attributing their very own sobriety to that model, they will exercise that power to diagnose and treat anyone and everyone according to that model. And it can be fatal. Under a dictatorship everything else becomes subordinated to the guiding philosophy of the dictatorship. Corresponding doctrine replaces ethics as well as professional guidelines, standards of care, and evidence based medicine. Ideology usurps critical thinking. Having only a hammer, everyone is seen as a nail A symphony with just one note. And faith in institutions demands mass adherence to faith in that authority. Direct challenge to the status quo undermines the publics blind faith. The biggest obstacle is th at this system allows them to throw the normal rules of conduct under the imperative of a higher goal assumed to trump all other consideration. All of medicine needs to be predicated on competence, thoughtfulness, good-faith, civility, honesty, and integrity. This is universally applicable. All specialties of medicine are required by that specialty to practice evidence based medicine and avoid conflicts of interest except one–addiction medicine. Due to a confluence of factors they have been given a pass. But the validity and reliability of opinions lie in their underlying methodology. Reliance on the personal authority of any expert or group of experts is a logical fallacy. And in order to save American Medicine this problem needs to be clearly recognized. 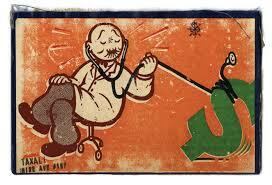 The ASAM has a monopoly on addiction medicine. Treatment of substance abuse in this country is, in fact, defined by the impaired physicians movement paradigm. A paradigm that is in actuality rife with methodologically flawed studies, cherry picking, bias, and cognitive distortion. A paradigm that places expert opinion, ideology, and doctrine above critical thinking and evidence base. Coercion and control are placed above patient autonomy and individual choice because the patient has a “disease” and can’t think for himself. So we’ll think for him. The conflicts of interest are many and complex. They would be unimaginable in other fields of medicine. But I agree with Pinsky on one point. His comment that addiction and depression can be a deadly combination is true. And this is especially so when treatment of the addiction is the primary focus and consists of imposed 12-step indoctrination and the depression remains untreated or ineffectively treated. That is a deadly combination indeed–and one that can easily lead a person down the road of hopelessness, helplessness, and despair. And it is time the medical field as a whole shined some light on this, and hold addiction medicine to the same standards of conduct and care as the rest of the profession. Thank you for this explanation of how it truly works. This is vitally important in a world, especially the North American culture, of false information for people to understand. 12 step groups do more harm than good. Thank you. It is only going to get worse. Have you seen the ASAM white paper? They plan on using the healthcare system to increase drug testing and broaden the scope using the junk tests they put out there. I have seen 12 step groups heal and save many lives. I have seen aa, and 12 step goups save and improve many lives. Duil diagnosis 12step programs to. For people with a mental illness and addiction. 12 step programs promote peace and love and save lives. Dear Brenda, I do not disagree with your opinion. I completely agree that some lives have been saved by AA and 12-step. Any intervention designed to elicit change in another human being and applied to a group of people is going to contain successes and failures depending on the outcome that is being measured. Ideally the group definition of success is the same as the individuals but that is not always the case. In most organizations if a person does not feel the are benefitting they can try something else. They have a choice. I want to make it clear I am not criticizing 12-step and A.A. I am criticizing the imposition of A.A. on people who do not want to be in A.A. If it is helping someone, or if they are getting something out of it, and they want to be in it then good for them. But the fact that it worked for them does not give them the right to impose it on another person. They can suggest, refer, or encourage another person but coercing, threatening, and mandating under penalty of losing something crosses the line. It is unfair to them and it is also unfair to the sincere and genuine members. Removing a person’s right to choice of treatment and forcing a single treatment on them is unethical. Many of those forced into these programs under the criminal justice system and administrative law (like the Physician Health Programs under the FSPHP) are not addicts or alcoholics. Some do not even have substance abuse problems. There are a variety of factors, for example, that could lead to a DUI including situational and psychosocial but all-comers are being funneled into a program that simply does not apply to them and forced to follow, or at least pretend to follow, ideas that may be anathema to them. 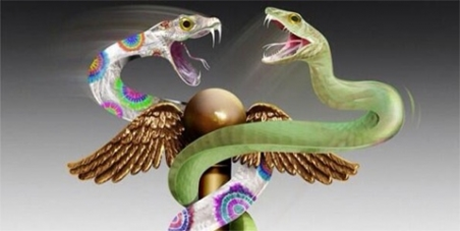 Doctors deemed “disruptive” are being sent to 12-step assessment centers and being diagnosed with “character defects” and forced into 12-step philosophy under threat of loss of medical license. Some of them don’t even drink but the ASAM/FSPHP/Drug and Alcohol testing/inpatient assessment and treatment center industrial complex has set up a scaffold to impose 12-step philosophy anyway. Regulatory and State agencies have a right and responsibility to control the behavior of individuals if that behavior violates the law and threatens the community, but they do not have the right to control thought. So the fact that AA has saved the lives of some people is good. I have no issue with that. I would rightly be offended at someone forcing their religion or politics on me and arguments about how many people the religion saved or political party helped does not factor into it. This is no different. And the ongoing and contentious arguments about the success of 12-step has gone nowhere. It would not be an issue if the coercion and control issues were removed from the equation and it was a matter of free-will in a free-market. And unless the definition was uniform, always accomplished, and the only path available it really doesn’t matter. But it is safe to say that AA does not save the lives of everyone in AA. In addition to lives saved it is safe to say many benefit from AA in varying degrees. In some it does nothing and in others it can cause harm. And in some people it can cause irreparable harm including suicide. And the statement that it “promotes peace and love” in those with mental illness I would take issue with. For someone with PTSD or profound depression it could do just the opposite. Telling someone who feels entrapped, hopeless, and in despair that they are powerless and riddled with character defects is not going to help the situation when the very thing they need is some sense of control and empowerment to heal. Thank you so much for taking the time to research and craft this very powerful piece of work! It helps to fill the vacuum/void of mis-education and ignorance regarding AA’s true effect on Vulnerable Adults who have the misfortune of stumbling into those darkened (potentially DEADLY) rooms filled with perhaps ‘well-intentioned’ , yet still grossly unqualified, malpracticing, abusive, self-proclaimed alcoholics and addicts. Even a child knows that “the blind leading the blind” is a potentially tragic scenario; but AA supporters/disciples/zombie just do not seem to be able to figure out that praying and holding hands while slavishly reviewing and repeating an old plagiarized version of Old Oxford Group Religion while some old drunk/druggie takes on the role of your “sponsor” – (Controller) can be deadly for someone who needs and wants real help. It doesn’t work! They know it. That is why they further abuse relapsers, slippers and newcomers. If they themselves believed in their “powerless-diseased” concept, they would treat those who have relapsed with care, support and compassion—instead they attack them, blame them and shame them. They know the person can control their own actions deep down because they know that they can. So, they POUNCE on those who falter. They want them to DO the “program” or DIE. They do not care which. If you live, AA saved you. If you die, you failed to “work the program”. AA is never at fault. Sponsors never lie or make a mistake with sponsees , Bill W. is god and savior and his big book is the Holy Text of Miracles. And that is fn THAT! Many suicides may be traced directly back to exposure to abuse in AA if anyone in authority would only dare look into it. Please keep your insightful work coming. IT IS SO NEEDED! Thank you. Hopefully we can get more people to listen and speak up. It is willful ignorance. Great article. More people need to make the connection between the 12-step programs and depression and suicide. He was working the steps, even publicly promoting AA, but AA and the 12-step industry failed him as it does so many people. It’s not a mark of success that he was sober when he killed himself. Yes, and it happens everyday. We just don’t hear about it because the person is not famous. These people represent an illegitimate and irrational authority that needs to be exposed. While the focus is on Big Pharma the multi-billion dollar drug and alcohol rehabilitation and testing industry is getting away with murder. And it is all fueled by and hidden under the veil of 12-step benevolence. “They would have done it anyway.” No, they would not have and a modicum of perceived support or concern from another human being may have prevented it. Always wondered about that sepalla guy thank you! Yes addiction is a false dichotomy. 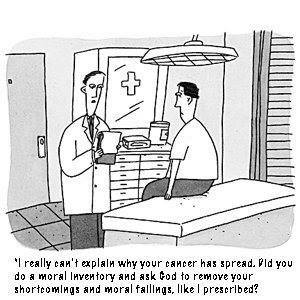 It is neither an illness nor a moral failing. It is a religious belief! Half my family is commie but I’m the crazy one cuz i watch Fox news sometimes??!! Gimme a break. Also AA didn’t save anyone’s life. That’s Just a lie they learn to recite. Just sayin. I am currently somewhat stuck in the 12-step “recovery” world of south Florida currently, and have never felt more trapped and hopeless. I received treatments for depression before, when I was 17-18 and self injuring. I feel like that helped me quite a bit. Everything changes though, with the “addict” label. I sought help in the summer of 2013 believing naively that I could be treated for depression, figuring it would reduce my need to daily self-medicate with alcohol. Instead it became a cycle going on two years now during which my depression has gotten progressively worse, I feel. The argument I sometimes hear is that “the addiction must be treated before anything else”. What this seems to mean is that I can no longer be treated at all like a “normal” mentally ill patient: I am just an “addict” and depression and suicidal inclination is proof I am not working a through, “honest” program. Which, admittedly, I am not. I do not feel free to honestly express how I am feeling, most of the time, to these addiction-focused therapists and counselors. The harshest part of the whole little world down here is the halfway-house aspect. The fear of being kicked out on the street at a moments notice on the whim of some manager is intensely frightening. The regular 12-step community, the meetings and the “fellowships” proper, increasingly also feel like nothing but large echo-chambers… or as we say on “web 2.0”, circle-jerks. I feel it is worse in this area than it was in NJ due, in part, to the influence of having so many drug-treatment facilities and outpatient programs down here. I do think the 12-Step programs do work for some people: I do see evidence of it. But the theme of “shared experience” is grossly overemphasized. Some people can honestly say “My worst day clean is better than my best day using”… But I wont say that. Anyway, again, thank you for opening my mind up a bit. The picture used here was obviously taken without permission at a 12-step meeting. I don’t think it’s appropriate that people use and comment on it. Regardless of your belief about the effectiveness of 12-step programs, please respect Robin’s life enough to not use this photo, which was taken in a huge violation of trust. The American Board of Medical Specialties (ABMS) does recognized Addiction Medicine as a subspecialty since March 2016. Many members of ASAM do not endorse AA and 12 step programs as they are not beneficial to everyone but do help some. Also, any thoughtful physician would recommend expert psychiatric consultation for depression not responding to appropriate medications.